Some say that there are only two kinds of homes in Arizona, those that have termite problems and those that will. But is it inevitable that your property will be damaged by termites or that you’ll need to call for termite control in San Tan Valley? 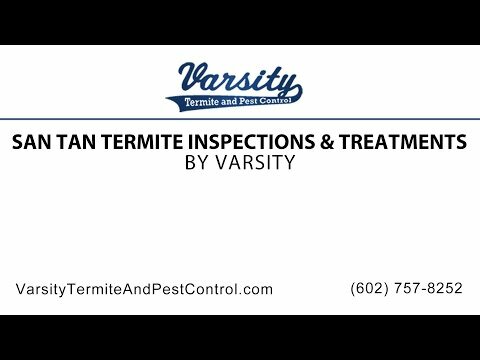 At Varsity Termite and Pest Control we are proud to serve the San Tan area. If you are experiencing a termite infestation you can count on our San Tan Termite Inspections and Treatments to solve your problem. Varsity Termite technicians are trained in the latest and very best termite treatment methods. At Varsity Termite and Pest Control we are a family run company that puts customers first. The customers are our top priority. We strive daily to be the best company we can be – going the extra mile for our customers’ needs. So don’t hesitate, call us to take care of your termite problem today. So call 602-757-8252 or visit us online at varsitytermiteandpestcontrol.com, today. It’s Not If You’ll Need San Tan Valley Termite Control, It’s When! In just the time it takes to read this homes in San Tan Valley are being silently attacked by insidious little wood eating creatures called termites. Before human settlements arrived in the Phoenix valley and San Tan Valley, there were 1000’s of colonies of termites feasting on the Sonoran Desert floor. Give termites food, a water supply and some juicy wood to eat in a sheltered environment (your home! ), and they’ll swarm. With the influx of the human population, termite infestations in San Tan Valley are an every day occurrence. The 6,500 plus households in San Tan Valley are more than enough food for termites to live off for years. A big problem can be avoided by getting a termite inspection done by a termite control company in San Tan Valley. Make no mistake, Even though, they’re not very big, termites can and do cause major structural damage. The reason for the threat that termites pose is because of both their diets and their sheer numbers. 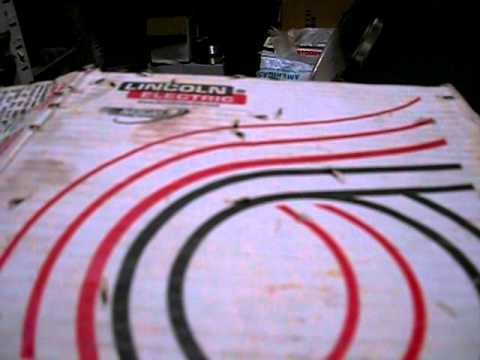 To begin, even though termites are members of the cockroach family (order Blattodea), it is only about 10% of the 4,000 different species of termites that can be categorized as pests and are the ones you want to call a termite control service in San Tan Valley about . In fact, in tropical areas some termites even fulfill a vital ecological purpose. Termites are detrivores, meaning that they feed on debris and recycle decomposing materials as nutrients that enrich the soil. Termites that build nests near your home, however, are something else entirely. Let’s say your house has virtually no wood in its construction, so you are not worried about termites.} It’s not that simple, unfortunately. In an ideal world, termites would only eat one variety of wood, and we could build our buildings appropriately. It would merely be a matter of reducing wood in building construction. However, termites also attack several other substances including: plastics, paint, silicone adhesives, paper, cloth, and carpets. Sometimes, termites might not eat non-wood materials such as these, but they will also sometimes use them for nesting materials. The result of an infestation of termites is ultimately damage to wooden structures. Termites can cause entire structures to collapse. In addition, as they can also often remain concealed and eat wood from the inside, their presence is often not detected until its too late. It is a far better idea to get on the phone to a termite and pest control service in San Tan Valley and have a termite inspection done to stop the problem literally in its tracks. Which Costs More? Termite Control in San Tan Valley, Or Repairing Termite Damage? Because of how much damage they can cause, termites can be extremely destructive. For example in India, termites ate the equivalent of roughly four thousand US dollars in April of 2011. Like humans, termites seem to like more temperate environments; there are no termite infestations in the Arctic as a rule. Termites damage approximately half a million homes in the U.S. each year, and cost anywhere from two to five billion dollars each year in either repair costs for the damage that they’ve caused or in costs to control them. As if that weren’t bad enough, they are also major producers of methane, the second most dangerous greenhouse gas next to carbon dioxide.